Hello again! This has been an interesting week in the Internet Marketing world and we have a bunch of great articles for you to peruse: Klout Just Turned Into A Social News Reader; Facebook Fixing Vulnerability That Would Prohibit Users From Revoking App Permissions; Check Google To See If Your Name Triggers SafeSearch Before You Go With; and Bing Getting Into Olympic Spirit With Winter Olympics Search Features And Medal Tracker. 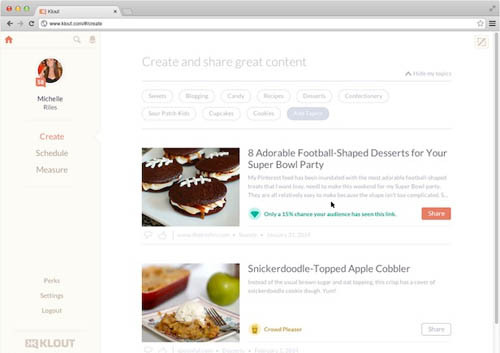 Klout has just undergone a big site redesign to encourage readers to “create and share content”. In order to encourage sharing and tweeting, it now provides users with a news feed of stories tailored to the area in which you have klout: that is, the topics your followers are interested in reading about. 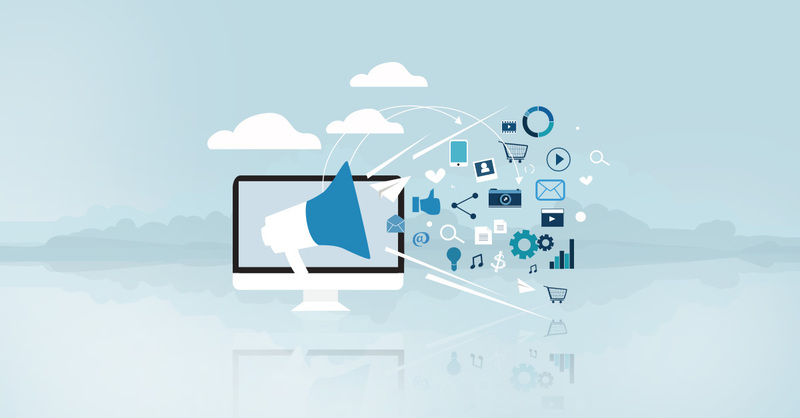 The content is not personalized to your interests but rather the interests of those within your social circles. A new vulnerability which may block some users from revoking permissions which allow apps to access your personal information has surfaced on Facebook this week. 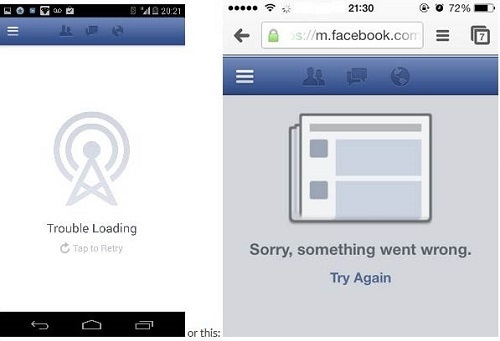 Facebook is currently working on a solution for the over 50% of users who frequent the site via their mobile devices. 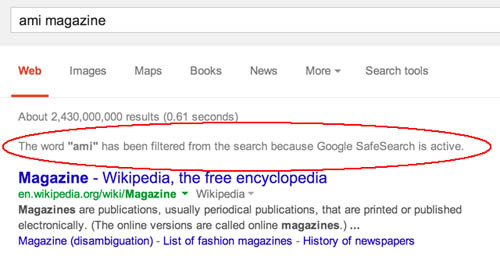 This article discusses an interesting problem that may occur with the Google SafeSearch feature which is enabled by default. 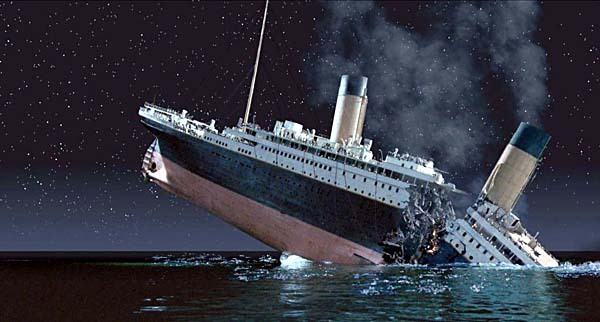 Certain words have been found to trigger it without explanation and it could cause problems with a company’s rankings. Before you register a new business or website name, it is always a good idea to Google it and see what comes up just in case your new name is subject to inexplicable omission or has bad press associated with it. 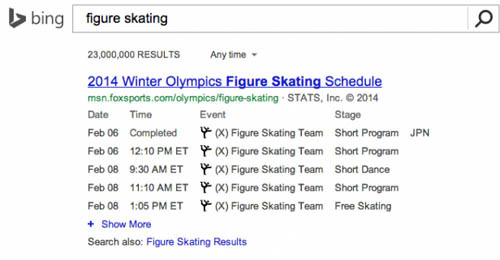 Few people would have guessed that Bing would provide the best 2014 Winter Olympics search experience but just in time for the opening ceremonies they launched their new suite of features aimed at making the most of this global sporting event. With full schedules by sport and athlete as well as a medal tally, Bing may well be the best way to keep up with the Olympics this year.